A photo of USS Nashville (CL-43) on October 24, 1944, from the port side wearing 33/21D. The caption of this photo identifies this as in Tacaloban, Leyte and shows General MacArthur boarding a PT boat from Nashville. The black smudges are on the aechive print. An unidentified LCS(L)3 landing craft in foreground with USS Nashville (CL-43) in the background on December 13, 1944, still in 33/21D. 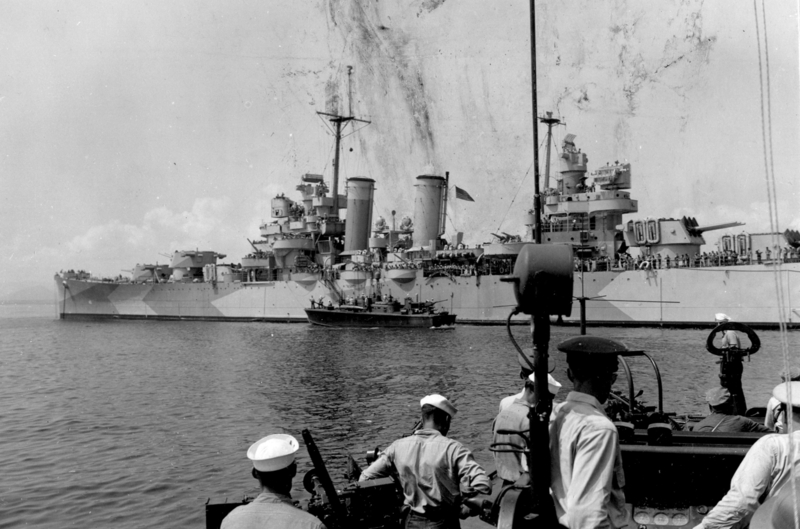 Nashville is burning from a Japanese kamikaze plane and bomb hit while enroute to the invasion of Mindoro in the Phillippines. Photo source: NARA 80-G-294526.